Who in scrapbooking hasn't been inspired by the daily life inspiration of Ali Edwards over the years. I've always enjoyed her knack of capturing the little moments of life, and celebrating the thousand tiny things we're thankful for that we often overlook in our day to day lives. This is especially true in the month of December as it is jam packed more profound daily moments than any other time of the year. This little stamp set was designed to help ease the burden of this busy month in documenting these heartwarming moments day to day. 1. The two number sets as well as the two "2011" in two sizes. 2. 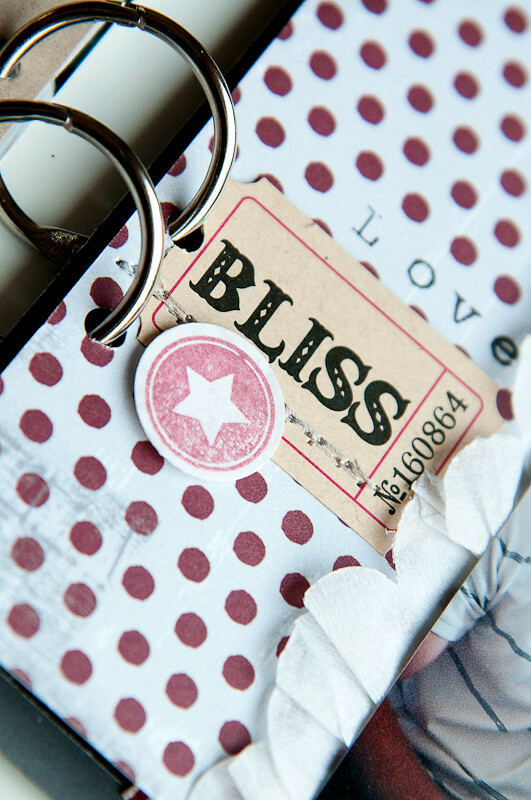 The journaling block stamp fits all of the titles nicely. 3. The "December" stamps are in three sizes and styles. 4. Many of these stamps could be used all year long. 1. These stamps are pretty tiny. They're definitely sized for a small mini album or project. 2. The acrylic on these stamps was pretty soft, which made it easy to press too hard when stamping. This is easily overcome by using a lighter hand, especially on the small letter stamps. These sweet stamps were the perfect for embellishing a mini album, as well as for personalizing embellishments from your collection. 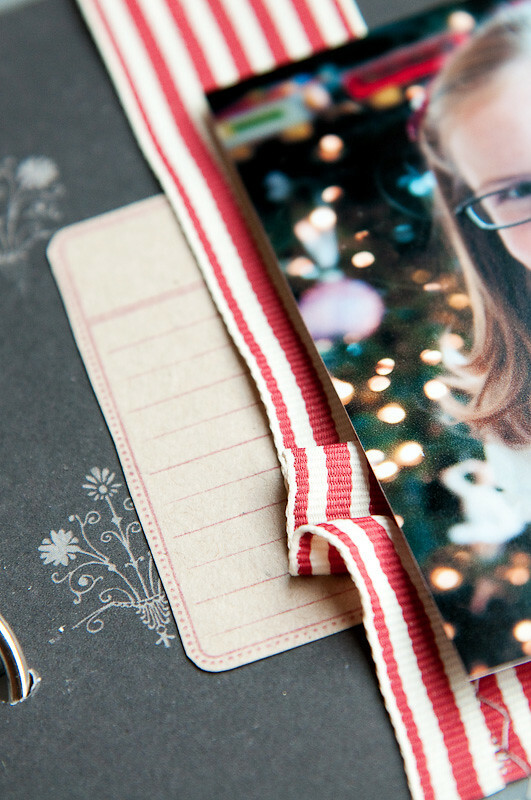 How do you record your December memories? 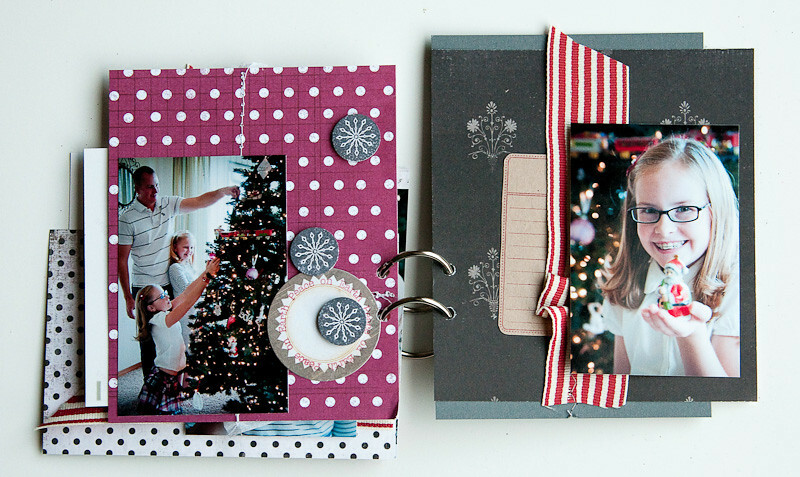 What are your favorite time saving tools for scrapbooking during this time of year? What are some ideas for year round use of this stamp set? Leave a comment by midnight PST Tuesday to be entered to win a set of your own!! US residents only and be sure to leave your email address so we can contact you if you win! I am not a huge stamper, so I am always interested to see what others do with their stamps! You made a gorgeous album and gave me motivation to try stamping more! I like Ali's stamps but I agree they are for smaller projects. I like her handwriting and that Technique Tuesday incorporates this into her stamps. 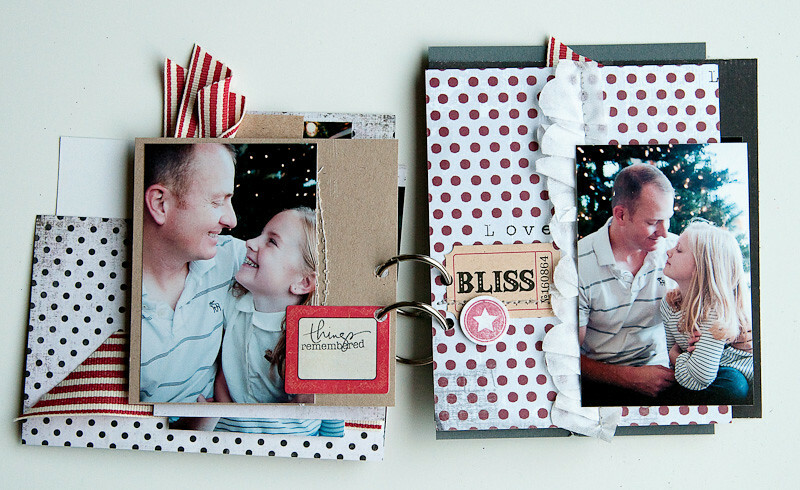 These would be great from my DD album.. it is 6x8.5 so the smaller size would be perfect. I love Ali's stuff! This year I became a BIG fan of Ali's stamps. I use them for stamping onto my layouts. They add the PERFECT tough. Great job with the mini Noel...love it! 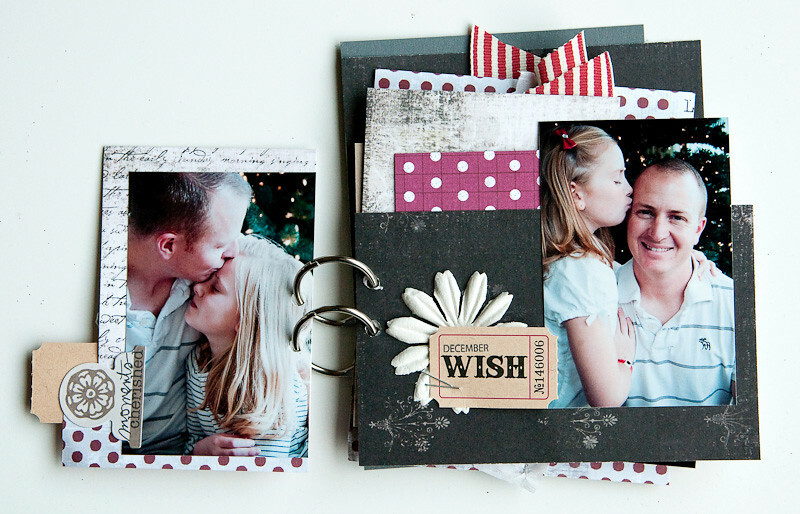 I can see tons of uses for year round scrapping. The numbers can go on just about any layout for school, dates etc. Several of the word phrases are interchangeable and I love the journaling stamps. Love the size of the bigger one. wow, these stamps look really versatile. 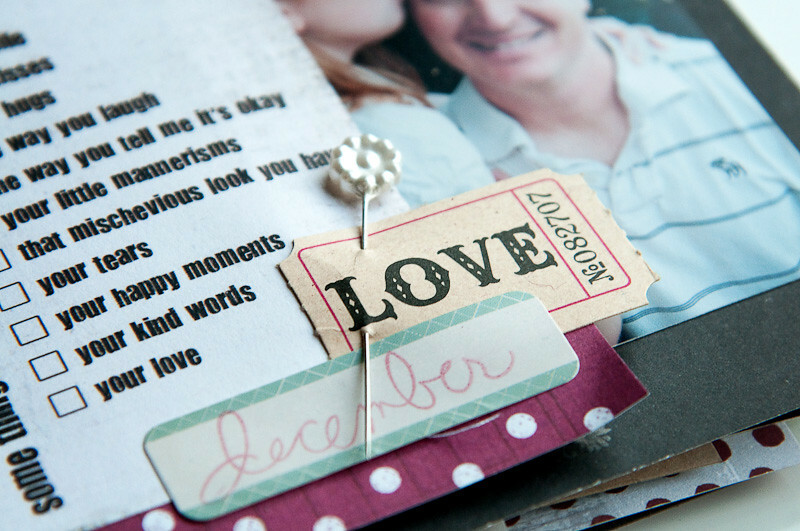 there are only a few that are mildly "December Daily"-specific... and most of them could be used on any scrapbook page! I would love to win this set-- I am hoping to put together a December album to celebrate my little daughter's first month! December is so busy around here, I just try to remember what I have to get done this week. I take pictures, then after the holidays, I "try" to get everything into a layout. It includes our calendar for the month, and that shows what we did. i love her stamps! I've been using aloto her on my layouts and right now on my dec daily. love your mini album. i love ali's stamps. they are always so versatile! cute album too! The few sets of Ali stamps I have are very versatile and never fail to add style. I'd love to win these. With so much going on at this time of the year and on top of that trying to make minis as gifts, baking, handmade cards, and decorations I've learned to not add more to my plate but I do squeeze time in for creating just for fun & capturing the memories either art journaling or a pre-assembled mini like the DD is perfect. these look fun, and I would totally use them year round! I like what you did with them. They are basic, which means that they are very versatile. I totally agree that Ali is a huge inspiration! I love how she encourages us to tell our everyday stories! During this time of year I like to participate with Ali's December Daily project, but when I get behind I just keep it simple and use a comp book to record my memories and thoughts from the day! Thanks so much for this excellent review! i think i would use that lined journalling block on just about everything! i also love the ticket stamp, so many uses for that as the inside can be filled in with any sentiment, color, design, etc... lools like a terrific set. I love your album too! And who doesn't love Ali?!? She's so inspiring! I'm doing my very first December Daily (another Ali inspired project! )and I'm very proud of myself for keeping up with it, even a day or two late! 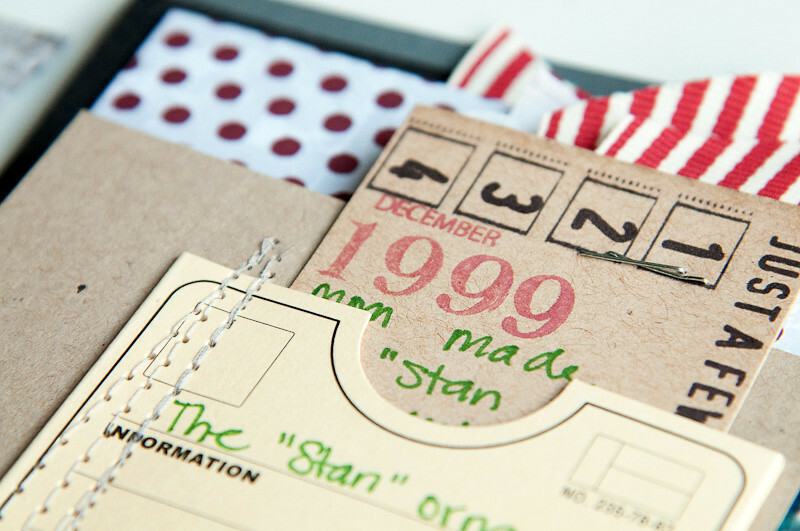 I can see myself using the numbers for birthdays or making lists, the ticket stub for basically anything and I'm loving the favorite traditions too! Thanks for the chance! What a great set! I'm a huge fan of Ali's stamp sets so this one will go on my wishlist for sure. As for recording December memories, I really only concentrate on Christmas and my oldest daughter's birthday. I've never tried to do a December Daily album but all the inspiration I'm seeing from everyone this year is making me want to try! Love your mini! 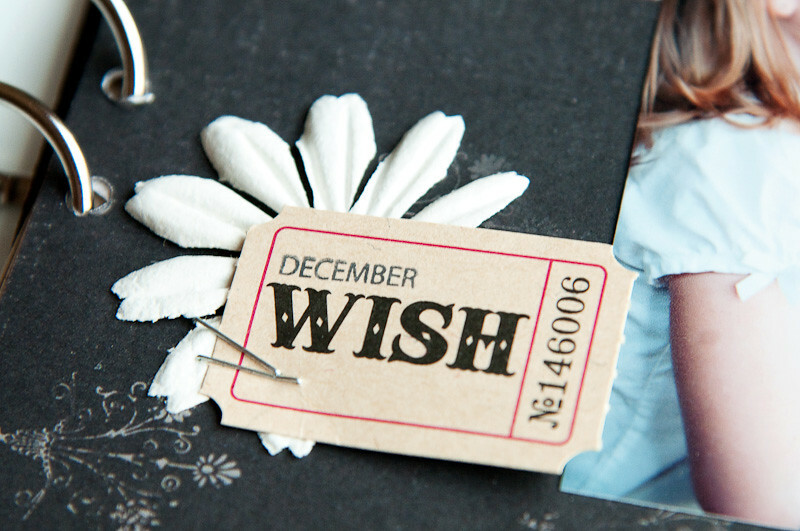 This stamp set would be great for my December Daily, or even monthly pages. I love Ali's Technique Tuesday stamps. I agree that I would like these much more if they were larger! I tend to like my scrapbooking stamps to be a little oversized! :) Love them though! Noel, I'm recording my family's December memories doing a December Daily for the 1st time. Since I told my girls, I'm getting Instagrams every day, with their comments attached (less guesswork on the words!). 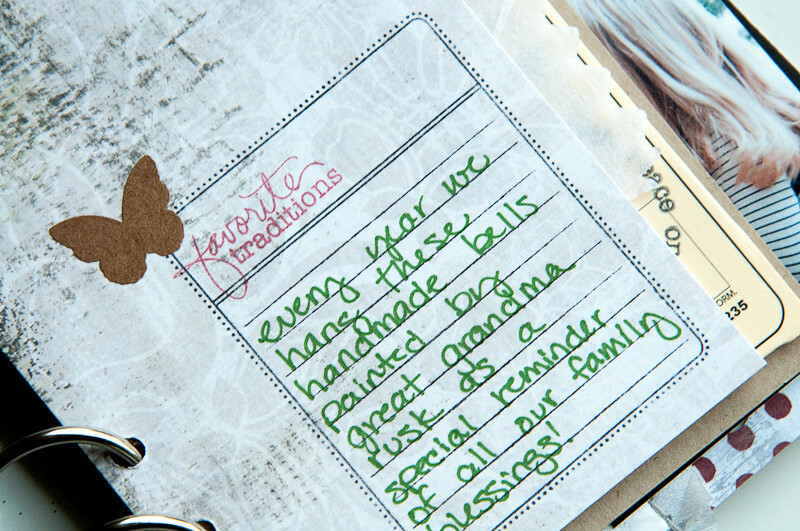 My favorite scrapbooking tools are Ali Edwards stamps and Tim Holtz distress inks (perfect together). The 'things remembered' stamp would be great for a layout of when I was a kid in the 50's, the 'favorite traditions' stamp would be perfect for Easter and Thanksgiving layouts (traditions are so-o-o cool), and 'moments cherished' for the summers my mom spent on her Auntie Anna's farm when she was a kid in the 1920's. I'd LOVE to use these stamps year 'round. Happy Holidays! 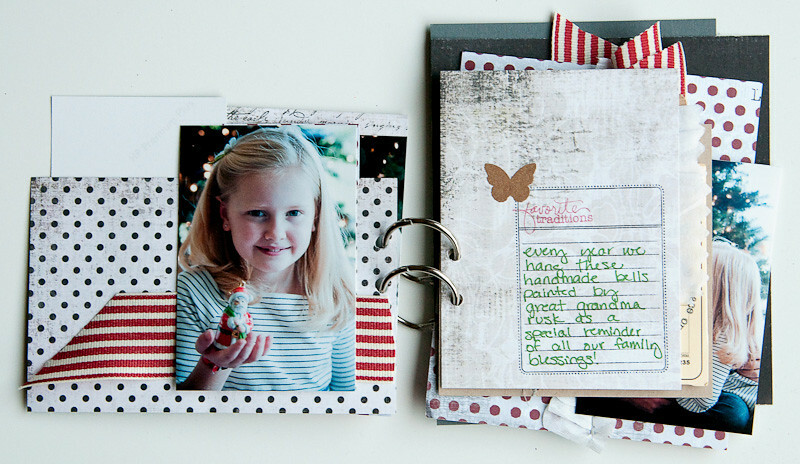 I have never really done anything other than a few scrapbook pages for Christmas memories, but am starting to like the idea of a special December journal - especially after seeing all these great ideas! These stamps look PERFECT for that! Thanks for the inspiration!!! Love your mini! This set is awesome for December Daily albums!!! I really like that these are smaller stamps. 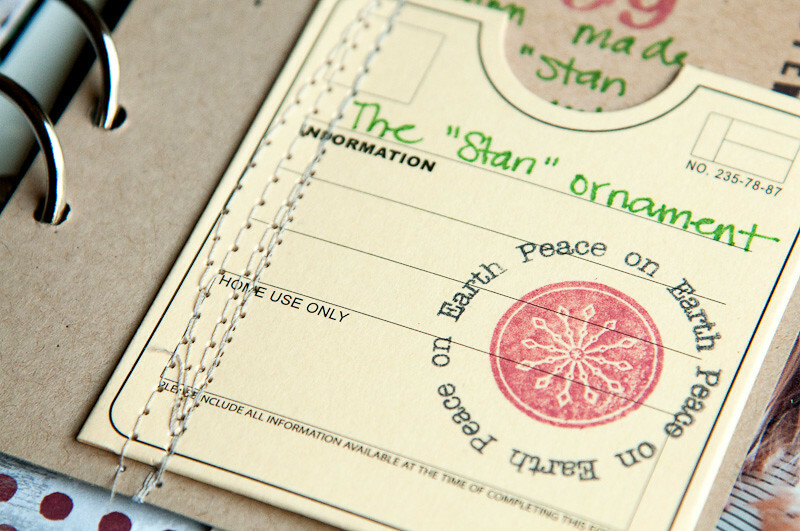 I make tags for my friends at Christmas time and put them in a mini album I creat from the kraft cardstock that comes in the packaging of the invoices at work. 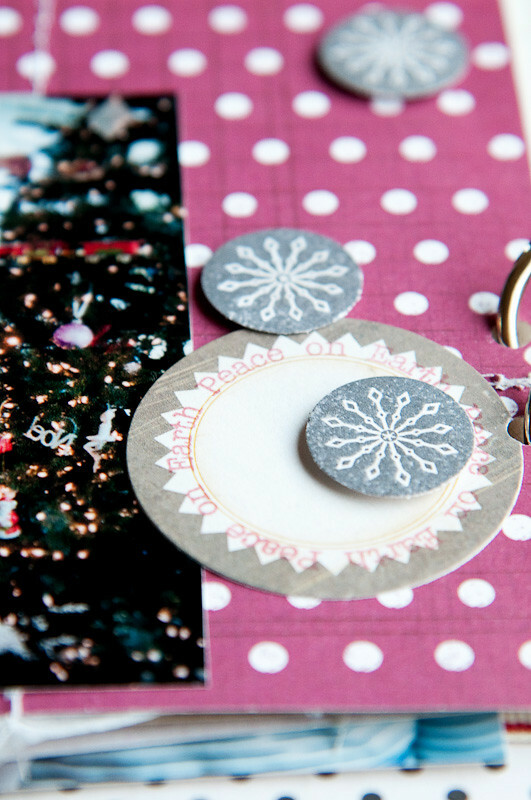 I use up alot of my scraps for these projects and tiny stamps are perfect for tags. Thanks for sharing all your great ideas with us. I love Ali's stamps! This would be perfect for mini albums and cards! I'm not great at recording December it's just too busy but I usually do take a lot of photos. Love this project and the stamps. I'm inspired!